The specified file temporary://fileDlXdpj could not be copied, because the destination directory is not properly configured. This may be caused by a problem with file or directory permissions. More information is available in the system log. 2nd Parliamentary Breakfast and Open Workshop on the topic "Accelerated impact of academic aviation research for improved air transport for all European citizens"
On the 12th of April 2018 the European Aeronautics Science Network (EASN) Association organized the 2nd Parliamentary Breakfast in the European Parliament, hosted by MEPs Dr. Dieter-Lebrecht KOCH – Vice-chair of the Committee on Transport and Tourism (TRAN) and Ms. Monika Hohlmeier – Chair of the Intergroup "Sky & Space". The event was guided by the topic: “Accelerated impact of academic aviation research for improved air transport for all European citizens”. After the welcome introduction of the hosting MEP Dr. Dieter-Lebrecht KOCH, three speeches were given by Mrs. Clara de la Torre – Director of Transport in DG Research & Innovation of the European Commission, Prof. Spiros Pantelakis – Chairman of the EASN Association and Dr. Helge Pfeiffer – General Secretary of the EASN Association. The speakers reported on successful European research programmes and initiatives obtained by the different stakeholders in the ecosystem of aviation research and expressed their respective views on policies and contents for future research programmes where the academic world also has an important role to play. Eight MEPs had originally registered at the event and took also partially actively part in the discussions. Moreover, the Parliamentary Breakfast attracted the interest of many high-level aviation stakeholders and policy makers. The Parliamentary Breakfast was followed by an Open Workshop on the same topic which took place at the premises and with the strong support of the European Commission. The Open Workshop was attended by approximately 60 participants. The sessions of the Open Workshop were chaired by Dr. Sebastiano Fumero – Head of H3 Aviation Unit, DG RTD, EC and Dr. Dietrich Knoerzer – Former Officer of H3 Aviation Unit, DG RTD, EC. A final open discussion of the involved participants with the keynote speakers was stimulated under the moderation of the Chairman of the EASN Association Prof. Spiros Pantelakis. The collection of the presentations of the Open Workshop can be found here. Complementary to the technical agenda, the Organizing Committee arranged a number of technical visits which are offered for the 7th of September. Due to limitations to the maximum number of participants for each visit, a “first come first served” registration policy is applied. Prospective participants are invited to register on the conference platform. More information about the workshop are posted on a regular basis on the EASN website as well as on the 8th EASN-CEAS International Workshop official website. 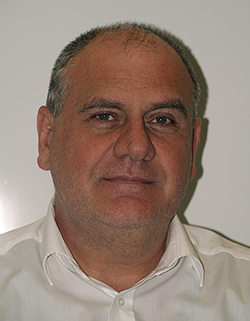 New Interest Group for "Space technologies and applications"
For the July Newsletter, the EASN Association is pleased to host an interview of Dr. Athanasios Dafnis, the Deputy Head of Institute of Structural Mechanics and Lightweight Design at RWTH Aachen University. Dr. Athanasios Dafnis recently took the initiative of establishing a new Interest Group, within the EASN Association, under the title: “Space technologies and applications”. As the Interest Group leader, he has kindly accepted to share with the readers his views on this initiative. Read the full interview on the EASN website. "Impact of academic aviation research" is it a reality? 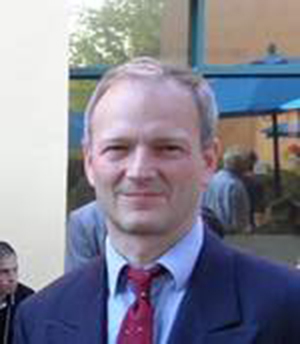 Dr. Helge Pfeiffer, senior researcher and industrial research manager in the department of materials engineering at the KU Leuven, is at the same time, the Secretary General of the EASN Association. 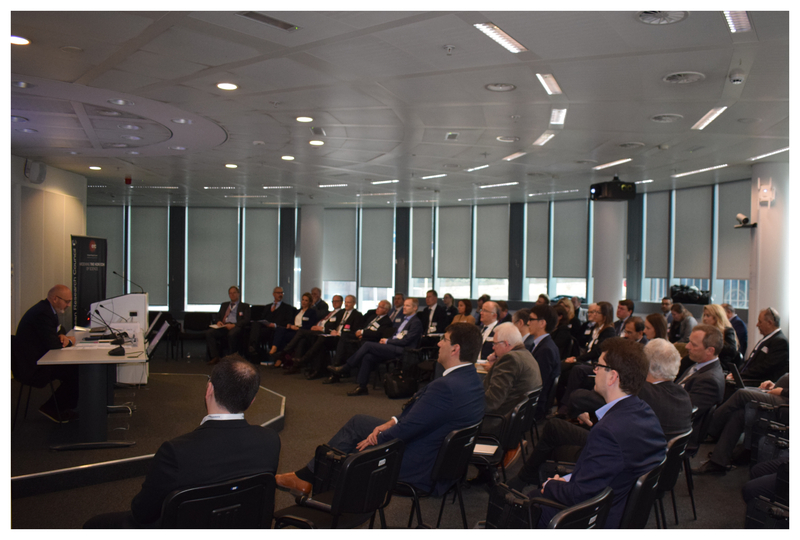 Recently, the EASN Association organized the 2nd Parliamentary Breakfast at the European Parliament, followed by an Open Workshop at the premises of the European Commission under the topic “Accelerated impact of academic aviation research for improved air transport for all European citizens”. Dr. Helge Pfeiffer, was the coordinating person for the organization of this dual event. EFFICOMP is currently in its third year of activities and several important milestones already have been achieved. At present, the consortium is organizing the M30 Progress Meeting which will take place in Glasgow, UK on the 5th of September 2018. The objective of this meeting is to review the progress performed since April 2018 and the activities planned up to the end of the third year of the project. In the same time, EFFICOMP is organizing its upcoming dedicated session, which will be held during the 8th EASN-CEAS International Workshop on “Manufacturing for Growth and Innovation”, on September 6th 2018 at 10:40 and will be chaired by Dr. Patrice Lefebure from AIRBUS Group Innovation. The 8th EASN Conference is expected to be, like its predecessors, a major dissemination event for running research projects, attended by more than 300 participants from various disciplines, as it will offer the Aeronautics community a forum to their high quality recent achievements and new upstream research ideas. The EFFICOMP project will showcase its current progress and upcoming results through the following presentations: 1. Development of innovative curing technologies within H2020 EFFICOMP project, for manufacture of HIG performance CFRC parts (by Patrice Lefebure); 2. Characterization of the forming properties of wide unidirectional prepreg tapes using the advanced ply placement (APP) process (by Klaus Heudorfer) and 3. Investigation on ultrasonic welding of CF/epoxy and CF/PEEK composites (by Eirini Tsiangou). For more information about EFFICOMP project, please visit the project website. 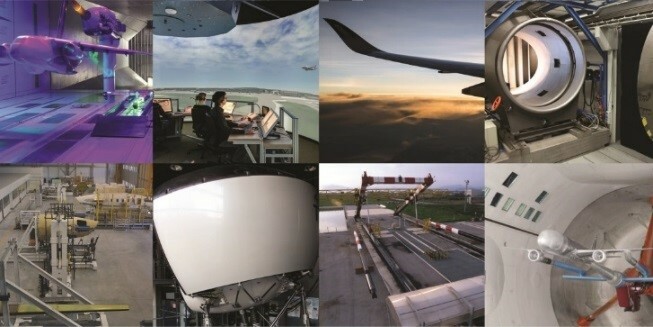 With regards to the assessment of past and current international cooperation in aviation, a dedicated survey and interviews are currently underway, while a technology mapping, which is expected to substantially contribute to filling the technological needs identified in the SRIA of ACARE, is proceeding according to schedule. At the same time, the elaboration of the country profiles for the 21 countries has been progressing in harmony with the related requirements. During this period the consortium successfully organized the M6 project management meeting at EASA facilities in Brussels, Belgium on the 21st and 22nd of March, 2018 with the aim to review the essential technical work performed since October 2017 and the activities planned up to the end of the first year of the project. 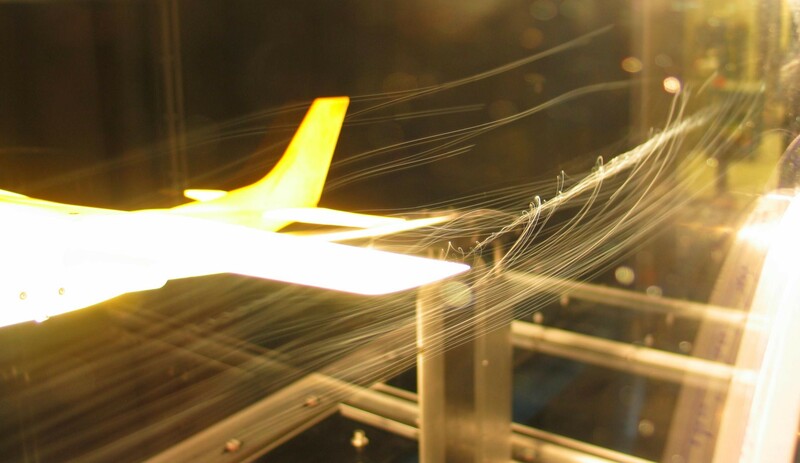 The team of experts of the NHYTE Project comprises eight highly-competent partners who target manufacturing integrated thermoplastic composite aero-structures, made from a hybrid tape using out of autoclave continuous automated technologies. Having completed a first full year of operations the NHYTE project progresses its pace at research and innovation entering now in the most impactful phases of its lifetime. The project’s first milestone has been successfully achieved, involving the development and production of the new high-performance hybrid thermoplastic based composite material by an automated prototype equipment. Ιn March 2018, this prototype equipment was installed at NOVOTECH premises (project coordinator) and several trial tests on the material and the proposed manufacturing process were carried out. The latest scientific and technical achievements were presented and discussed among the partners, during the NHYTE M12 Progress Meeting in Brindisi, Italy from the 15th to 16th of May, 2018 on the premises of the Brindisi-based project partner, CETMA. In addition to the successful meeting, the project team was offered the opportunity to visit the NOVOTECH labs in Avetrana, Naples. On the 4th of September, 2018 the NHYTE project will be present at the 8th EASN-CEAS International Workshop on “Manufacturing for Growth & Innovation” in a NHYTE dedicated session. You may visit us there and learn about our achievements to date. For more updates, please visit www.nhyte-h2020.eu regularly. 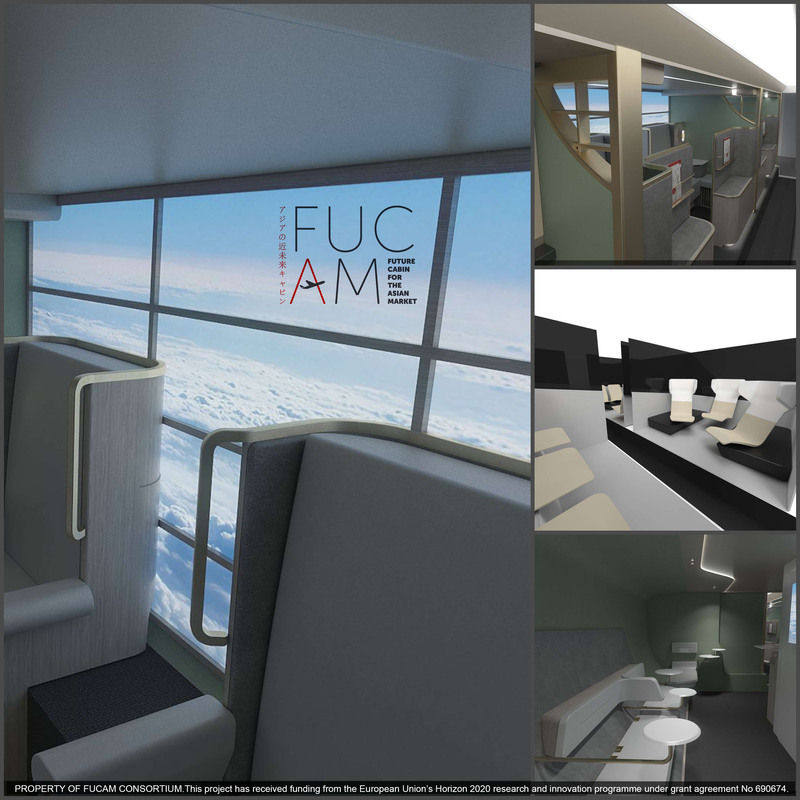 FUCAM has entered its final phase and has already completed a successful period of project activities. The most important milestones of the project have been achieved as concluded during the 3rd International Workshop, which took place in Hamburg at ZAL Tech Center Premises in June, 2018. The workshop focused on the business cases for the developed concepts, the Lower Deck Scenario, the Super Economy Seats, and the Business Class as well. One of the members of the consortium, Cranfield University, has performed an extensive research and report about the present and near future technological possibilities. Within this framework, the consortium designed the best experience adapting them to each phase of the passenger journey. From adaptative displays to adaptative foams, using virtual and augmented reality in-flight. All of these technologies have the same objective, to make more comfortable the passenger experience. The ambition is by the end of the year to have a clear view on the commercial aspects of the most matured concepts and its exploitation potential to airline operators. For more information about FUCAM project, please visit the project website. SARAH (Increased Safety & Robust Certification for ditching of Aircrafts & Helicopters) has reached the first half of its duration and completed a successful period of project activities. Strong progress was achieved especially with regard to the simulation of ditching of helicopters performed by high-fidelity methods and with regard to preparing the test-facilities. The extensive test-program of SARAH is currently running and delivering data to the consortium. SARAH is currently organizing its upcoming session, which will be held in the frame of the 8th EASN-CEAS Workshop, on September 6th 2018 at Room 2, from 16:30 until 18:30 and will be chaired by Stephan Adden. The project will introduce its current progress and upcoming results through the following presentations: 1. Simulation of water impact of unconventional configurations in the frame of the project SARAH (by Stephan Adden); 2. A fully-nonlinear potential flow model for aircraft ditching applications (by Alessandro Del Buono); 3 Effects of the surface curvature on the hydrodynamics of aircraft ditching (by Alessandro Iafrati); 4. Challenges of fully-coupled high-fidelity ditching simulations (by Maximilian Müller); 5. Experimental design and simulation of helicopter ditching (by Benjamin Bouscasse). Furthermore, in October 2018 a demonstration day will take place in Rome. 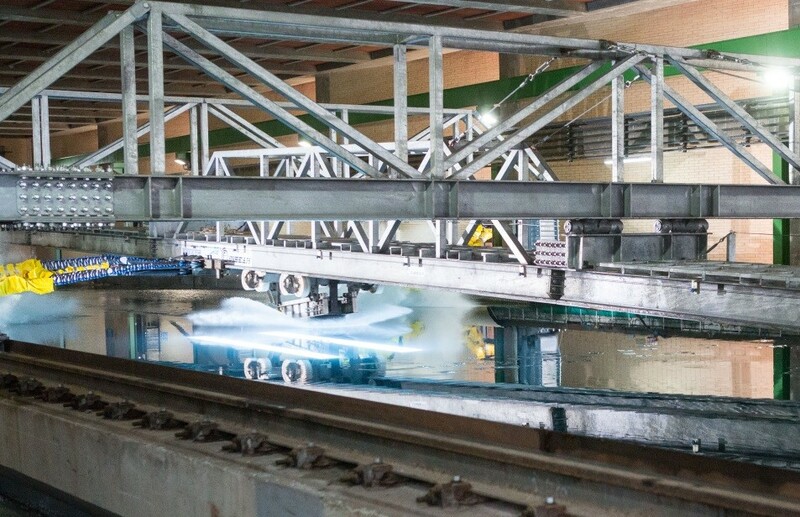 The focus will be mostly on the wide testing program to be conducted at the High-Speed Ditching Facility available at the Institute of Marine engineering of the National Research Council of Italy (CNR-INM). The event is split in two parts: the inaugural event to be held in the morning followed by a technical workshop in the afternoon. For the inaugural event, policy makers, national and EU and stakeholders’ representatives, universities and certification authorities will be invited, among others. In the afternoon, the SARAH activities and the main achievements, on both model development and testing activities, will be presented. Universities and other European research institutions working on the subject will be invited to participate. The consortium will also organize the M24 progress meeting in Rome, Italy in October 2018. The objective of this meeting is to review the progress of each WP since April 2018 and the activities planned for the final year of the project. For more information about SARAH project, please visit the project website. ICARUS (Innovative Coarsening-resistant Alloys with enhanced Radiation tolerance and Ultrafine-grained Structure for aerospace application) progresses its pace towards the successful completion of two full years of operation. 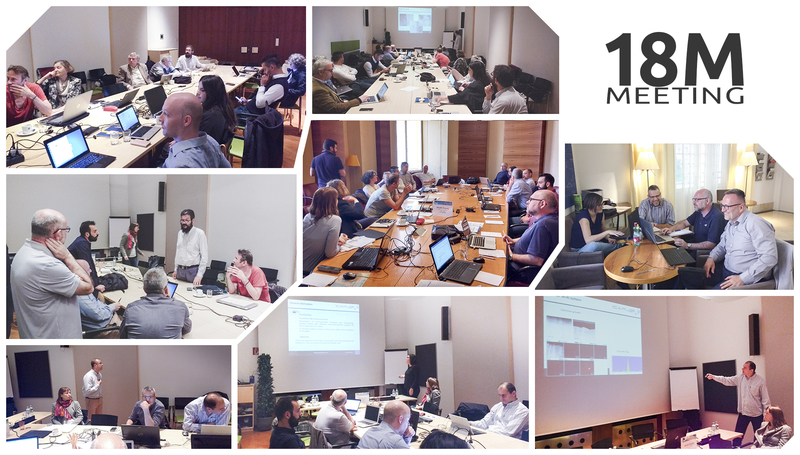 On the 14th and 15th of May, 2018 the ICARUS team held its M18 Progress Meeting in Vienna, Austria. During the two-day meeting, the project’s latest results and achievements were presented while the overall progress of the project and next steps were discussed. Alongside, the project team had the great opportunity of being guided by the Common Exploitation Booster (CEB), a common support service which offers guidance on projects on how to bridge the gap between creating research outputs and ensuring their exploitation. 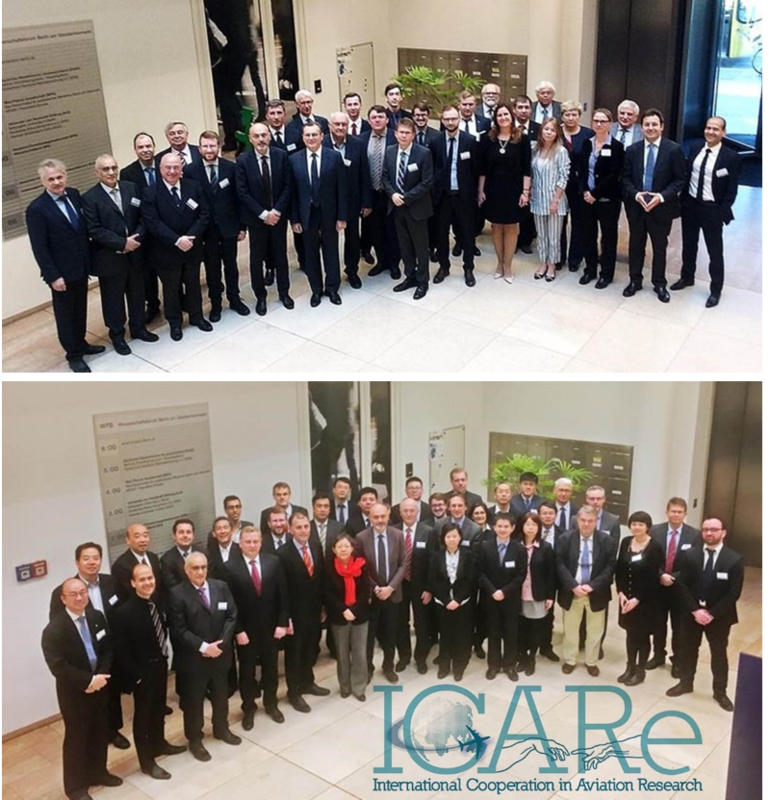 Besides the CEB, from March to May 2018 ICARUS participated in the FET2RIN Training in Brussels. Through this three-session workshop, partners got empowered on how to better validate research results and how to connect with early stage investors. Additionally, within this month the scientific paper of our colleague T. Polcar, under the title “In situ TEM observations on the structural evolution of nanocrystalline W-Ti alloy at elevated temperatures”, was published in the Journal of Alloys and Compounds (Vol. 749) while the full-paper “Computation of elastic moduli of nanocrystalline materials using Voronoi models of representative volume elements” was submitted to the 5th International Conference of Engineering Against Failure (ICEAFV) by our colleague K. Tserpes. Several scientific publications are expected to be published during 2018. Three streams of presentations by leading industry experts and academia on the advancement of the aerodynamic disciplines and their application in a civil and military context through current research, nearer term conception and longer-term design and operations. Taking place over three days, the conference will bring together aerodynamics researchers, practitioners and programme managers from worldwide academia, industry and research establishments for a balanced perspective of the fundamental science issues and technological challenges related to current and future developments. A set of three workshops will be organized soon in the framework of the RINGO project aiming to collect information about the needs of European aviation research infrastructures to fulfil the goals of Flightpath2050 that specifically concern the research fields of “Production and Mechanics”, “Aerodynamics” and “Aeroelastics”. 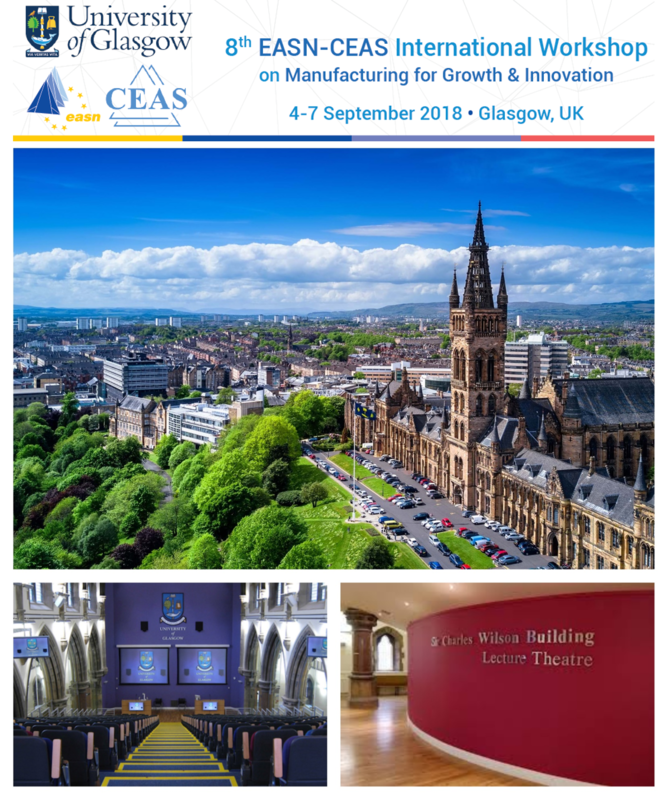 The workshops will be held in Glasgow, during the 8th EASN-CEAS International Workshop on “Manufacturing for Growth & Innovation”, on 5th and 6th of September. Each of them will last approximately 2,5 hours and will involve a limited group of participants. At the request of the participating expert, RINGO will cover the costs for the provision of conference services during the workshop. If you are expert in one of the research fields addressed and are interested in attending the workshops, please participate first of all in the RINGO Survey, whose output will be used as a basis for the discussion, and indicate directly in the questionnaire your availability and interest in joining the face to face meeting. If you have already completed the survey without giving your availability for the workshops and want to candidate to attend, please feel free to contact the workshop coordinators directly at j.p.reitsma@tudelft.nl and/or sarina.brautmeier@ilr.rwth-aachen.de. In addition to the workshops, it would be valuable if you could share with RINGO your opinion by participating in the survey on European aviation research infrastructure needs.